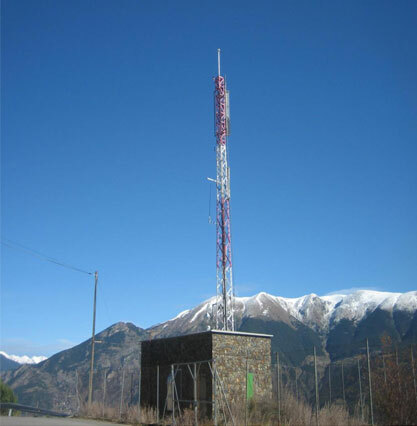 An analysis of the effectiveness of the DDCE device was performed in the context of direct lightning strikes on a telecommunications tower belonging to ANDORRA TELECOM, located in the area of LAS PARDINAS in the Western Pyrenees, at an altitude of 2300 metres. 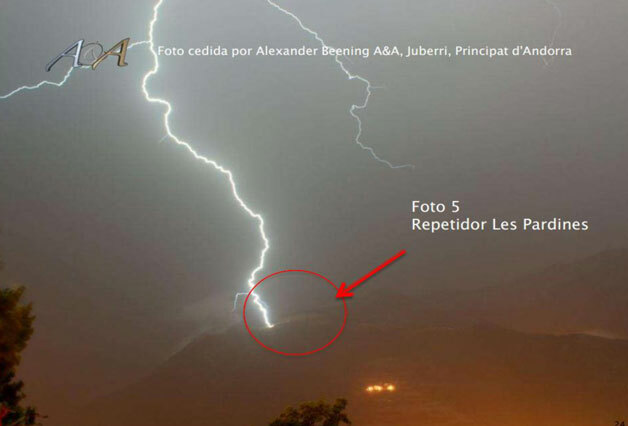 The system used was Remote Sensing by triangulation of the lightning signal, with a margin of error of ±50 metres. 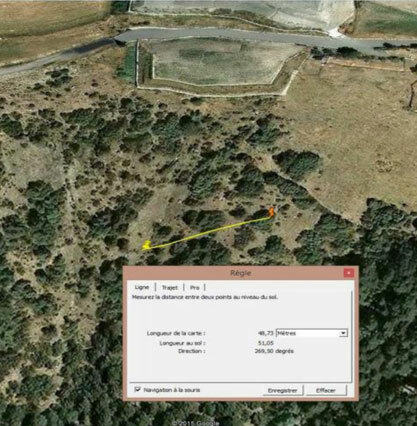 The tracking radius was 2 km around the telecommunications tower. Direct strikes on the tower before the installation of the DDCE in 2003: YES, there were direct lightning strikes every year. The largest of these occurred in the summer of 2000, when a direct lightning strike on the tower resulted in the total write-off of the electrical generating set. 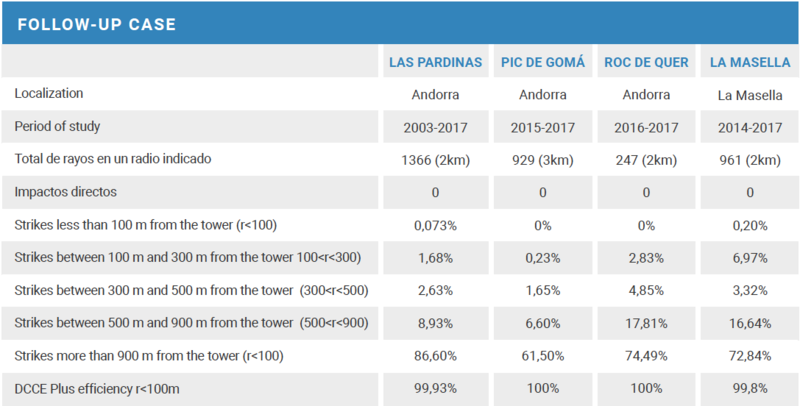 (Data provided by ANDORRA TELECOM). id: Number of strikes listed in the report. 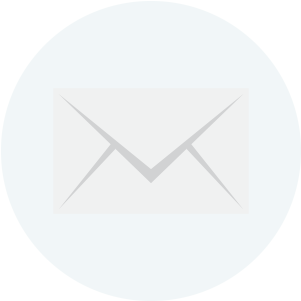 Date: date of strike dd/mm/yyyy, time of strike hh/mm/ss in local time (MET) or UTC (add 1 for the local time in winter) (add 2 for the local time in summer). lat. : Latitude of strike in decimal degrees. Long. : Longitude of strike in decimal degrees. amperage. (Cloud-to-earth): Polarity and peak intensity of the discharge current in kiloamperes (1 kA = 1000 A). gd-axe: major axis of the confidence ellipse of the location in km (max). pt-axe: minor axis of the confidence ellipse of the location in km (max). Inclin. : Slope of the ellipse with respect to North. Distance: distance in kilometers between the impact point and the reference city or coordinates used. dir. (Azimuth): angular direction of the impact point with respect to geographic North (in degrees clockwise), as shown from the centre of the analysis. 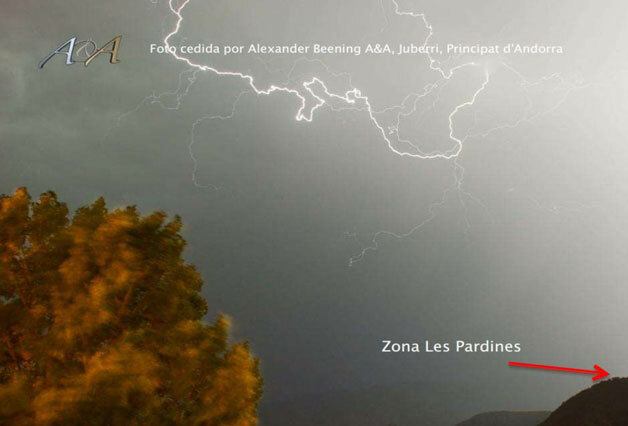 THE PARDINAS Tower is located in an area with a high incidence of lightning strikes (Keraunic level (Nc) 7.7 and lightning density (Nr) 32). 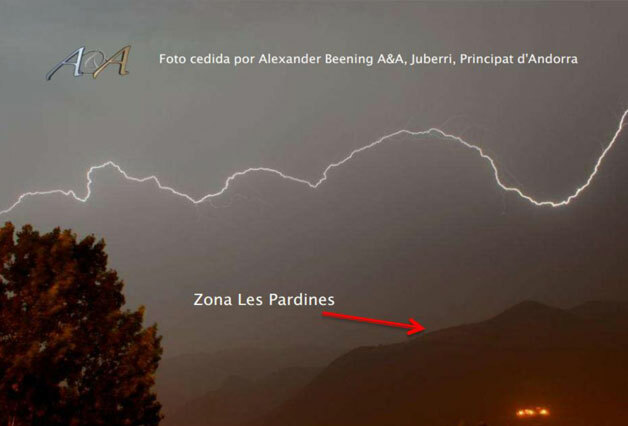 ANDORRA TELECOM certifies that as regards lightning strikes, it is the most problematic telecommunications tower in the Principality of Andorra (WESTERN PYRENEES). From 1997 to 2002, when a Franklin lightning rod system was installed, there were 21 direct strikes. From 2003 to 2015, with a DDCE100 lightning protection system installed, there were no direct strikes at all (13‐YEAR ANALYSIS). The nearest strike was 22 KA (negative), located 48.73 meters away (recorded on June 14, 2010 at 14:17:36 hours). 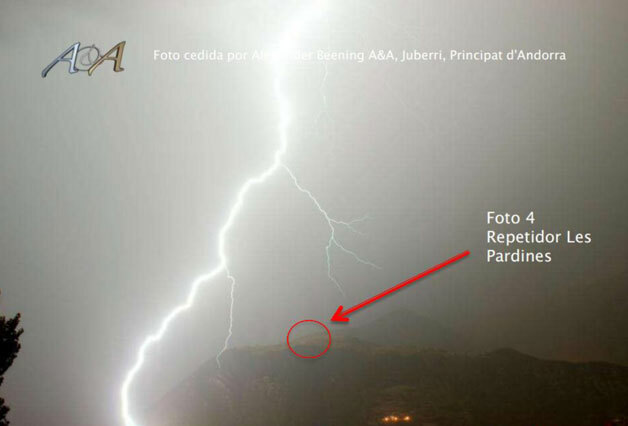 All other strikes were more than 100 meters away from the LAS PARDINAS TOWER, that is to day, there was one strike 48.73 m away and 1120 strikes over 100 m away. It has been proven that DDCE compensates the varying electrical field in its immediate surroundings, preventing ascending streamers from forming. The actual data shows that the risk of lightning strikes increases as the storm moves away from the point where DDCE is installed, which is logical, given that the electric field is compensated by the DDCE compensates in its immediate environment and it will increase once more as the distance from the DDCE increases. Therefore the effectiveness of the DDCE is 100% on direct lightning strikes on the protected structure and 99.99% on strikes within the area of its 100 m radius of coverage (1 strike at 48.73 m and 1120 strikes at over 100 m from the tower) in an analysis of 13 years in an area of high lightning incidence (Nc = 7.7 and Nr = 32). The DDCE only affects the electric field which appears in its immediate surroundings. It has NO influence on what happens in the cloud, or on the number of storms that occur in the area, or how long they last, as is logical.